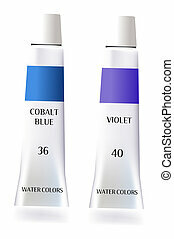 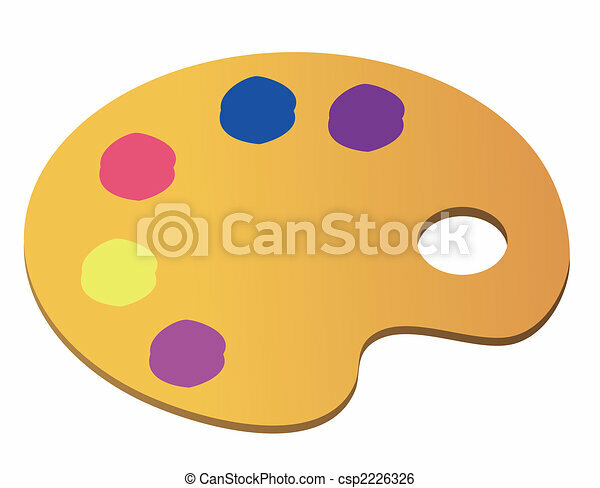 Art palette. 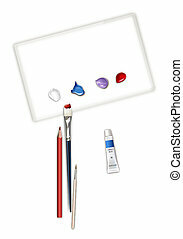 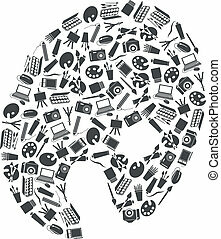 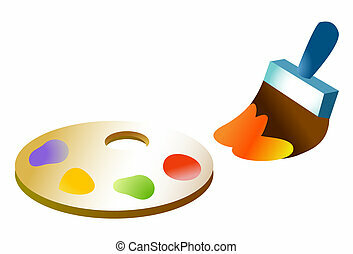 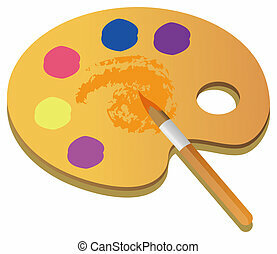 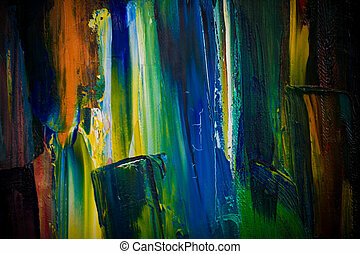 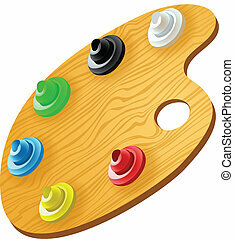 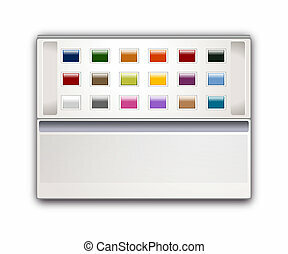 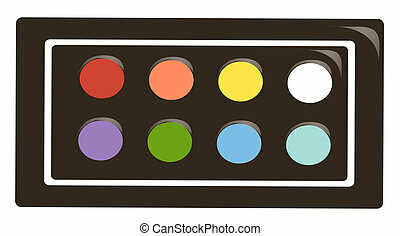 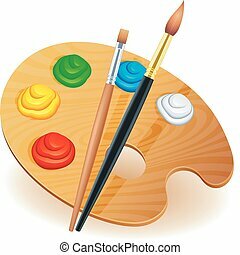 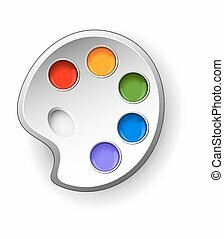 Wooden art palette with blobs of paint on white background. 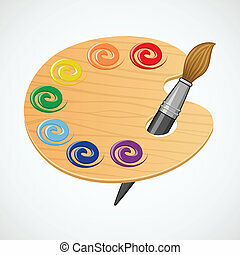 Wooden art palette with paints and brushes. 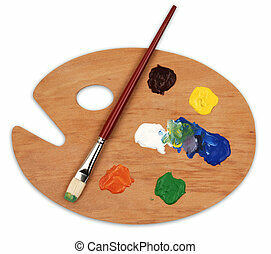 Wooden art palette with brush.